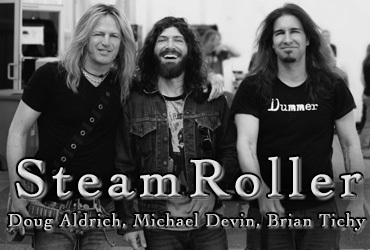 Thanks to all our friends that came to Marshall 50 Years Of Loud Live and the SteamRoller gigs. Thank u mucho!! Did a fun gig for Marshall at Musik Meyer in Germany tonight. Killer party and good times. I’m in Milano Italy now. Early day missing all my friends in Germany. Just gonna grap a nap b4 jamming at a Vintage guitar show tonight. Leaving Sweden now for Prague.We had a fun gig last night. Thanx so much for coming out and hangin late w us. Thanks for coming out for Steamroller in Prague last night. You guys sang great!! Leaving CZ thank you Brno..heading to Poland today. 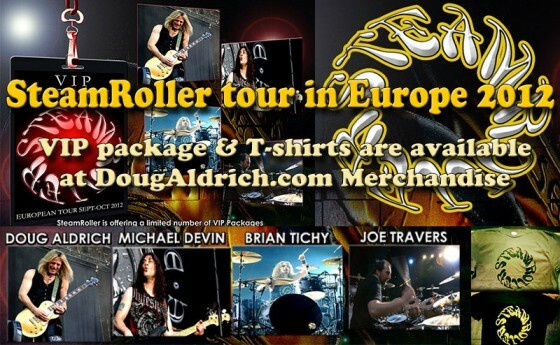 Doug and his mates Michael Devin, Brian Tichy and Joe Travers will be touring as SteamRoller in Europe. The tour will start in Germany September 10 and will end in Italy October 12. 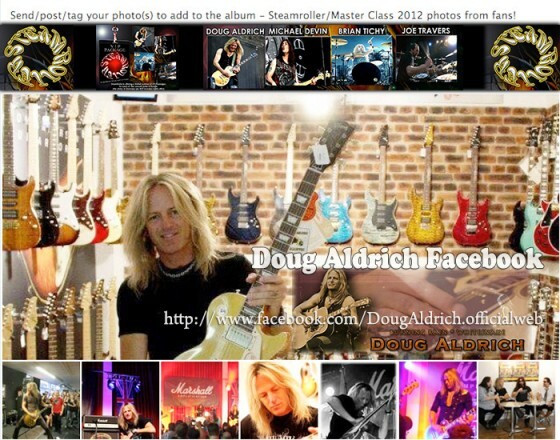 During the tour, Doug will also do Master Class.